This makes sense j82. My yard is frozen over right now but I will check as soon as possible. I work with the women I suspect are doing the work. It is possible all three women in my area are working to keep me away from him. I'm new to the area and that is where he and I met. He's already been taken from our area and banded from working in our department. I think this was a result of someone trying to keep us apart. I observe the women I work with. I see the small things they do, say, and how they react to certain situations let's me know they are practitioners. Stop gossip to prevent you from being hurt by their talking. You need protection and cleansing. Cleanse you and your home asap. there are many spells to use for protection, like nailing down your yard , putting items in the window, etc. I would like to see you cleansed and protected THEN, move into reversing work which can be a reversing 7 day candle or the candle LM sells where you carve it out and light it. A great job is a mirror where you take the peoples photo and personal item glue em back to back so face is outward.. stick them with two mirrors facing inward seal shut. I use round because their are no edges to get out. Pray to make all their negativity, evil reflect back on them. this can be worked with candles, washes etc as well. Freezer jar may also help freezing them out by writing their name and petition but leave his name off. My fav mix is black pepper, poppy seed and alum with a lemon holding the petition, use rain water or a strong river. put it all together, pray over it and shake it and curse it then freeze it and forget all about it. Good luck! Thank you so much. I'm working a stop gossip candle right now. I've been cleansing with hyssop and again with sea salt. It helped for some time but I will continue and do as you suggested. I was just looking into freezer spells cuz they seemed to be the best for getting her/them away from us without causing him problems. I tried doing a reversal before I cleansed and that was a mistake. It felt like my kidneys were about to explode. I had to be treated and take medicine for 10 days. So I do believe when you say my work is being turned back on me. I will get started ASAP. I did see in another thread about constructing and binding a doll baby and putting it in a mirror box. I feel good about that one. im needing help to see if there has been a spell placed upon me and or my mother.and how to do an uncrossing. We recently had a Hatian women as a personal care provider for my mother after my mother had a stroke. Her name is Maria. My mother went into rehab 3 weeks ago and Maria began crying fearful that when my mother returned from rehab that she (Maria) would not be hired back . Also we have a house cleaner who is with us from June to dec and Maria doesn't like her because Mary wants the job,though our house cleaner has been with us for 3 years and Mary just came in September . Right before and after mom went into rehab we found large sewing needles'without thread in clothing , towels and one stuck in my bed . My mother has been having severe pain in her arm since going into rehab. I've looked on lucky mojo to purchase uncrossing materials but need help in doing it correctly and need to know which to use . I understand by reading about uncrossing is that a body wash,or several, is needed but my mother is elderly and unable to get in and out of a bath. How else might I use the bath crystals. Is there another easier method of uncrossing. Today we asked for Maria to be replaced. Also does anyone know what Hex she has done with the needles? Can anyone help me with my question. Sounds to me like she worked a doll. Then, used the weapons (needles) to make a better connection with her target. How do you deal with objects that you may have touched that may be cursed? One of the objects were discarded in the trash weeks ago. I need help in removing a curse. From around early January i have had skin cancer, pancreatitis, gallbladder removal, hematoma blood clot from gallbladder removal, bruised diaphram, and now i may have skin cancer again. Earlier this week at around 5 am i was watching something on fire which is meant to release negative energy and then 5 minutes later i hear a fire alarm go off and the apartment building next to me is on fire with people burning to death and screaming. I then saw a house spider in the bathtub which is supposed to be lucky or unlucky in some cultures. It may have moved when the fire happened i'm not sure. And my mother told me i apparently rang her when she left but i didn't. A unknown number with my name and numbers on it called her with no response. I think maybe an Adeptus has cursed me in some way because he does not like me. I need to find out how to remove this curse as i''ve used Agrimony and read Psalms 37 out. I don't know if i have been cursed or my home has been cursed. Are you being affected by it? It sounds like both you and the house are being affected. Yes. I have noticed some misfortune after touching the objects placed mysteriously in y backyard partly buried under my house. The objects have been here before I moved in and one is a phallic symbol made of concrete and the other a partly broken coffee cup. I am quoting myself from a post above yours. It might also be beneficial to get a reading to find out if tis was from an ethnic custom, if it was a curse, if it was to insure sexual potency, if the spirit is still there, etc. Nevertheless, please try the recommendation in this quote. blocks my life,which its will keep me going back in my life over and over. No matter what the root of the Jinxed,Cursed,Hex or Crossed condition might stem in my life which the results are always the same, i want a very good changes now on, so that nothing in my life will not seems or block in my work and will be total out for my life time in this hex and crossed. pls be advises me which one i will buy and it will work faster ?? Consult an AIRR worker to read for you and tell for sure. If it is then finding the shoe and burning it would cancel the work. Also look into uncrossing, and fiery wall of protection to break the curse and prevent it from coming back. Take regular spiritual baths and cleanse the home regularly. I also would suggest a vanvan mojo bag to carry to start opening up those paths again after the work is lifted and you are protected from it. J82, unfortunately I don't have the shoe anymore this is something that happened to me about 15 years ago. I did speak with a reader and he said the shoe is still in her house after so many years. Thank you these are all great ideas I will try what you suggested ! I also would like to know if you can use the names of more than one enemy who is involved when using the fiery wall of protection kit or do you have to do the other names seperate ? You can use all of their names. Hi and welcome! I would first of all suggest get another a reading. I know you said you've been to a few but most rootworker before even touching this situation are going to do another reading anyway so getting another reading from a rootworker won't hurt, it will actually help them to help you in the most effective way. If the reading does say that your husband's ex put a curse on you the next step is cleansing. I personally feel like your going to need to do a physical cleansing on the house so sweeping, washing the floors, washing window, vacuuming the carpets, sweep the sidewalk ect. Then a spiritual cleansing on the house so Sage the house, light candles (Reversing candles), and saying prayers to cleans that house. The next step after cleansing is protection to make sure that she can't come and attack again. After the protection work it sound like your house hold might need some type of Peaceful home spells and something to unite the family as complete unit. I hope this helps and good luck! hi thanks for replying, I did cleanse the house with prayer and candles and sage burning. now I just need the best cleanse for me , my husband and children, any suggestions. but must say, that he doesn't believe in these things, so I will be doing all this without him knowing. Please post in the appropriate subforum and the appropriate thread. Just go the upper right hand corner of any page on this forum. In the dark green area, there is a white search box and type in your query. Shawnleo did give you he correct advice. Here is a weird one! The last time I had any type of good luck I was a teen. One day we to a theme park in California and after throwing a penny in one of the wishing fountains, I had been having some of the worst luck ever to this day. Can the uncrossing kit help me here? kalpana2186, I agree. See if you can find a counselor who understands the unique issues of Pakistani Muslim culture. I really need someone to help me understand this jinx on my relationship with my ex-husband. Let me start of by telling everyone, this has been ongoing for almost 8 years. I was married and had a baby and my ex and I started to have a lot of problems in our marriage 8 years ago. We eventually separated, then divorced 3 years after our separation due to another woman who he was having an affair with. Shortly after him and I separated I started to have severe depression and anxiety non stop. I lost my job, my home, my car, my dog (he became ill and i had to have him put to sleep), and nearly my sanity and life from depression. I couldn't understand at the time my my life was so chaotic and backwards. My ex has suffered a lot as well, he became a heavy drinker, very depressed, always confused and lost a lot as well since she stepped in our lives. The one thing that remains is that him and I are deeply connected. He has and always will be my best friend and the one person that is always there for me. He's a wonderful father and friend. We know that we are family and yes I forgave his infidelity. I see his heart and his ways and hes a faithful man under what has been done. I forgave the other woman as well and even became chummy with her about 3 years ago and we did become very close and I actually care for this woman regardless of i know what she did because I see she does have a heart but we had a falling out last June because she was cheating on my ex and I told him because he had the right to know and personally I was offended that she ruined my life and my children as well to have him but then cheats and left him twice and made my daughter cry over this drama! I know that she did something to my marriage. About 6 years ago, I met a Seer who had very strong gifts and told me that this woman put something in his drink to make him leave me and he was in the wrong place at the wrong time. Not to hold him at fault. Naturally he is scared of anything like this. I am not. Since being told this, Ive read, studied and practiced. I tend to watch all I do because I have enough problems it seems ugh. Since her an I had our falling out last year, Ive noticed a change from time to time with my ex. Needless to say my ex still is in love with me he tells me alot. Honestly, I feel the same about him. But, there is something holding him back. So, Ive been praying about this and asking for revelation of what do I do etc, because I know that I could do damage and im unsure of that route. Two nights ago, I had the oddest dream...I dreamed of a plastic cup that you find in a hotel room (disposable kind) and the bottom had about an inch of sand in it and in the sand was black pencils. In a circular motion white ones outside of the black ones like 1111 and were white and in the middle of the white pencils were black sharpened pencils just two of them and something wedged between them and a black small rubber band held the black pencils in place. The sharpened end was facing up. The white pencils represented my children with my ex but somehow I knew in the dream the black ones were my ex and I. Also, in the dream my ex was very sad and trying to hide under a blanket from her and wanted comfort from me and kept repeating " I made a mistake" which I said I know and its ok I forgave you so forgive yourself. That is the end. I do not know what the pencils mean or what was in between them but I remember thinking in my dream it was a small stone wedged there. Please anyone help me Im just at witts end anymore with this situation. Greetings to you all. I am BlackIndian and even though I have known about the site for a couple of months, I have been mostly just lurking. Devi Spring recommended this site to me. I'm not sure if this belongs here but I would like to tell you a little about myself. I am in my late 30's with three teenage boys. I have a good childhood, but I have always been a single mother. It was hard, but I look back now and wonder how I did it all and they are great kids. Things were going well just like regular life; I was going to school to get my BA in Human Development and Family Studies. Then suddenly things started to turn bad We had two deaths in the family within six months of each other. One was sudden and my grandfather had Alhemiers. Within two years I've had two car accidents, neither my fault and the one in 2014 could have been fatal. Both cars totaled. Another car repossessed and another car broken down (all black cars BTW). Bad luck with jobs (can't get and/or keep one). Relationship troubles (mother, so called friends and love life). My "best" friend was nothing but a human parasite. At first it wasn't that bad but the last two years it became crazy. I mean we'd have are little falling outs but that wouldn't last long. I guess I dealt with it because I felt sorry for her. We were very much alike and she played against it. And of course there's more. I now have to deal with mental illness with myself and my youngest son, custody issues, having to move abruptly because of the negative issues with my mother. And also I lost my father suddenly last year. That was two weeks before that potentially fatal car accident. I have problems sleeping most of the time because of stress. The only good thing/s that have I feel that has happened during all of this is that I graduated college. I want to eventually receive my Ph.D in Cognitive Psychology and Neuropsychology. But I can't get into graduate school. Even though I have somewhat turned to Buddhism and try to meditate-key word is try, I have a very hard time concentrating or even just getting time alone. My kids are well, teens now and good kids. All have very good goals and are working towards them. But the people I live with now are very negative and jealous hearted. I do see a therapist for my issues but she got promoted and I don't really like the lady that replaced her. I try to meditate, study Law of Attraction and things related to that matter and Buddhism but nothing seems to work. It's like everything slips through my fingers. I know I have a lot of negative energy around me. And it's very hard to meditate around here because of the noise and lack of privacy. Seems like it gets worse every year. I'm sorry this is such a book; I guess I'm reflecting. Devi gave me some options but my income is ummmm...very low and I don't the funds right now. But that doesn't mean I'm not trying. I just want OUT. I don't care about money, or marriage or anything like that. I just want this negative energy that has consumed me so I can go on with my life. I know that's what it is and I know once I get rid of it, I feel everything will fall in place. But one thing I don't understand is if I did something to cause this or if this the work of someone else or both? I'm lost-literally. Wow! That I strange! I wonder if you had offended any Spirits? Yes, I would do an uncrossing as soon as possible. Although we do not perform dream interpretation son the forum, based on everything else you have told us, I agree that an uncrossing ought to be performed for each person involved. I don't understand how you can say that "....has a heart" when she has done all these terrible things to you and your family. I don't know how far you want to go with this, but you may even consider revenge or crossing on her for all the damage that she has done. What an ungrateful horrible :B:. Yes, you were definitely in the wrong area where you posted your query. Please, in the future, try to navigate the forum. If you go to the index page, you will see the categories and can go from there. Also, in the upper right hand corner, there is a white search box in the dark green area. You can also use the search engine for the appropriate areas to post. Well, it sure sounds like something really happened. Oh my gosh! that is a lot! Thank you all and I'm so sorry about the mix up. Another thing I notice is the deceased don't visit me anymore. I'm not hallucinating or anything, I could actually see their spirit. My grandmother did visit a lot after she died. She was more to me than my real mother anyway. My mother and I have always had a crappy relationship.She would come and warn me about something or tell me everything would be ok and then she would be go. I would smell her and everything. She died in 1998. Now I just dream about the deceased, which is not good enough for me. Could it be what I'm going through? I miss all of them so much and I know communication between them would make me feel better. I'm curious about Blondee's dream. Could she literally be seeing what was used? Could she use the contents of her dream as the basis for a magical solution? Try setting up a spirit alter to honor the family. Add fresh water weekly and flowers, items of their , dirt from their graves, pictures ..light white candles to them weekly, speak to them and pray. I think they may have got distant because you are not giving to them working with ancestors and spirit guides is not a once and a while thing its a daily thing that you connect with. their is no exact way but many methods exist that have worked that you can read up on. I have a set space I use with items and do pray daily or weekly, with water and items and I also prepare items in front of that area, or by it. I call on spirit help in the work. Hope this helps! The problem with that is my grandparents are buried in Mississippi, and my father was cremated. I have the ashes but I feel weird bothering them. The only one I could get to is my cousin. An AIRR worker emailed me my $10 reading yesterday and told me I was cursed. The worker said further investigation is needed to help. What would be the further investigation? 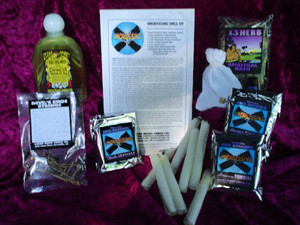 You should contact your AIRR worker who will likely want to do further divination and can then advise you on a remedy. Good luck! Hi I have a bit of a crazy situation that I hope someone can help me with. Ok so a few years ago before I even knew about Lucky Mojo was I was in this relationship with a guy. Things were not going so well for us at the time so I asked my friend for advice and she was telling me about spells and love spell casting and how it could help my relationship. At the time I had no clue what this was I had never even heard of it. But nonetheless when I got home I researched the subject found more information about it. Some guy in the comments section of the article I was reading on love spells left his email and name telling people he is a professional spell caster who can promise anything we want to happen. Of course now I know better this man was a scamer but I never paid the man any money. I simply emailed him and asked more questions about spells and how love spells work as I was still learning and wanted to know more. Eventually me and the guy I was dating broke up and I decided after all my research that it just was not meant to be so a love spell might not be worth it for me since I needed to learn to let go and that maybe me and the guy could still be friends. Well here's the thing- that spell caster continued to email me saying I should consider his services. For months he kept emailing me threatening me saying if I don't buy his spell services his "gods" will be angry and I will be cursed. I continued to ignore the guy without responding until I snapped and emailed him back telling him off. I let him know that me and the guy I was with broke up months ago and that I have no intentions of going back out with him and that I am happy as it is single. But nonetheless the crazy spell caster guy continued to email me with more threats and by then I know the guy was bluffing I mean if I was in any real danger he would have done something by now and I am sure something would have happened by now. So fast forward all these years later. Now the guy is back emailing me saying his gods remembered me and that they are very angry that I refused his help because they just mean well. I told the guy off and blocked his email. But he has multiple email accounts and even if I ignore his emails he emails me under other accounts using the same name. I doubt this guy is being serious but he insists that if I don't take action now to get the guy I was dating back then back that his gods are giving me one final warning and that I will be killed and something very horrible that will happen to me. I just want to know should I be concerned about anything? If so is there something I should be doing spell wise to get him and his so called "gods" off my back so that no harm is done to me personally? Or would you just laugh about it and say the guy is just full of it and that I can go about my day like this is nothing? Please please PLEASE repot this guy to the police. I doubt that anything was done to you. It takes time and energy to curse someone. And supplies. Thank you Miss Aida for the reply. I am guessing this guy is in another country (I'm in the US) but I will have to contact the police to take care of this then. Last night I got an email from him responding back to me saying his "gods" did not take to kindly to the fact that I snapped at him and told him off and that as a result they are more angry than ever and that I have 3 days max to pay him the money. He then posted a list under with the prices he offers and he said if I pay him the money the spirits and gods will leave me alone and I can be on my way but I know better I won't pay the man one red cent. Either way thanks for the suggestions I will look into the Fiery Wall of Protection here just in case. So last year in February 2014 I started having ugly things done to me including my boyfriend. I got pregnant and these two evil women made me lose the baby .. They even made it to where I had negative test so I ended up losing the baby. They broke me and my boyfriend up for a few months .. Finally him and I broke off with my candles in September 2014 .. I got pregnant again in October 2014 lost that one too. Now I had went to a couple psychics who told me they took care of it but they only did a temp fix. Took my money real quick. Now it's July 2015 and I'm pregnant again with my third one this one is almost 3 months and I'm still gettin negative test. Now I know it's a way to put a pregnancy trick spell to play mind games on me. Does anybody know a spell that can remove that where I can get positive urine test. It's driving me crazy my third eye keeps trying to open and I'm having these dreams and man why do people have to mess with other people just leave me alone seriously. If I'm not doing nothing to you never did .. Why mess with me. I just want peace. I am so sorry that all of this is happening to you. Have you seen a physician about all of this? What did the physician say about being pregnant with negative tests? If you haven't seen a physician, please do so immediately. I have moved your post over to the subforum with 10 pages of spell ideas for you. Please read through them. Then, if you have any questions after reading them, please don't hesitate to ask. But please see a Doctor first. Wishing you the very best and praying that you have a baby. I went to a doctor who did a blood test came back negative. I was getting frustrated so I went to the er yesterday I tried to get an ultrasound but they wouldn't do it only a urine test which I already knew would read negative. I've had a couple psychics tell me that I am pregnant and I know I am but it's like they did something to make the baby invisible or something. It's a cruel world and boy sometimes I get angry where I want to stoop to their level but I'm not. Karma will occur it just breaks my heart that people kill innocent babies. My babies didn't deserve that. But God will take care of it. I am so sorry. But you REALLY need an ultrasound. I fear it may be something else medical. I am a Registered Nurse so, all kinds of things are going through my mind. PLEASE see a gynecologist. PLEASE. This may help you with spell ideas. Take care of yourself and your health. Hi, I am new. I recently met a guy online. Everything seemed fine. Then one day he just stopped calling or answering my calls or texts. I felt uneasy about it, so I called a psychic. He told me we were meant to be together and that if things ended it will be because I ended things. A week later and still no call. I spoke with another psychic and she informed me that someone/thing had placed a block on me since I was very young; and this is the reason why I have not had long lasting relationships, entered into my career yet or had the best of health. She also informed me that the SAME guy I met could be my soulmate and we would be happy together; however, something is telling him to stay away from me (the block). My questions are: how do I know if I really have a block on me? If I do have a block, how do I rid it? Also, how long would it take to activate or deactivate this block? And can I find out who or what initiated this block? Welcome to the forums! If you would like to please hop over to the introductions section and introduce yourself so we can get to know you better! To your possible block, because I do not know who your readers have been I can not really say one way or the other if it actually exist. I will say to just make sure you are going to reputable readers for this type of thing so you are not taken advantage of. If there has been something places on you you should look through this thread to get ideas about how to take it off. Check out this page as well http://www.luckymojo.com/uncrossing.html . WHen you havemore sepcific questions feel free to come back and ask! Hello, it says webpage is not available. Natstein did the same thing that I ALWAYS do. Forget to write the "C" in Lucky Mojo. I just fixed it so, try it again. 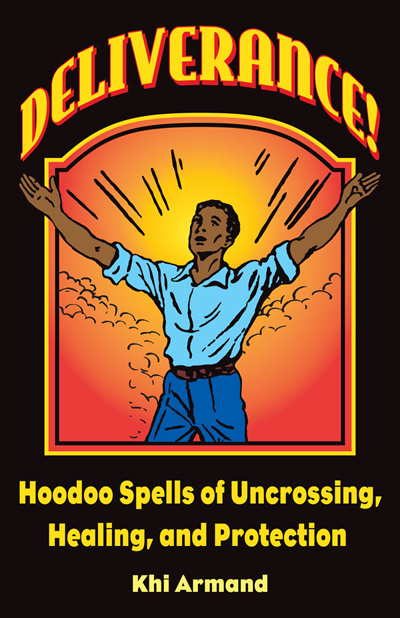 What is the best for a novice to use to get rid of a decades old curse on my life: reversing products or uncrossing? Then, if you feel inclined, you can proceed with reversing. I hope this helps and that you get rid of whatever is on you. I am unsure if i'm cursed. But nothing seems to ever go right for me. I live with my father who i feel is constantly giving me the evil eye. like if he's pissed he looks at me intensely with hatred and it feels like he's cursing me everytime he does this. I went to two psychics they both told me that my father did hoodoo on me in another life so i'd wonder if that would have any effect on me in this life?? I didn't ask them whether he has cursed me or not but they just volunteered that information both picked up that it was hoodoo. Both saw what looks like chains around my legs connecting me to him.. And one tried to remove it with energy healing and it worked only for 10 minutes. I asked my tarot cards if he cursed me in this life I got six of pentacles reversed, 3 of cups and 10 of cups so i think he didn't.. But i am concerned about each time he gets so intensly pissed and looks at me with intense hatred and cruelty. While i'm still living here I'd need some kind of protection from this? i feel hes cursing me everytime he does this. His words are intensly mean and potent and anytime he says anything i feel its a curse as well.. i don't think he is doing voodoo but i feel he is still cursing me energetically? So any help with this would be greatly appreciated. I still don't know if i'm cursed and would want to know for certain. This is kind heavy weight on my shoulders right now. I'm 32 and still living with my father i feel there's many blocks preventing me from moving forward ( i got a 7 day blockbuster candle with oil so i'm going to use that when the moon phase is perfect for this kind of work) My friend said burying silver in the ground for a few weeks and then checking it if it turned black to see if you are cursed to know for sure, would i be able to put the silver in a plant not outside? cause i live in a townhouse and we have a gardener that comes often.. that wouldn't be safe. hmmm. I'm also concerned because i was doing energy healing on a friend of mine and a local healer energetically attacked me during this healing for my friend AND when i was done my intuiton told me to take off my necklace, it is silver necklace it turned black!! So i'm worried if she cursed me?? the tarot cards said she didn't, i didn't get any negative cards but the necklace did turn silver so that's mixed messages.. Thank you. We realize that you are new, so we ask you to please do not start new topics and place your post in the appropriate subforum. Just go to the upper right had corner in the dark green area. There you will find a white search box. Enter your key words and you will be taken to the appropriate threads. It sure sounds like there's something on you. Was it your Father? only a reading will tell you that. An uncrossing spell kit is needed here followed by ONGOING protection spells (in the event that it is him). I pray that it isn't your Father who is doing this to you. But if it is, I also pray that you get out as soon as possible. I don't think he did any hoodoo on me in this life, but if he did that in another life would it effect me in this life? As far as protection from all those things, I do use shields. but maybe getting a few of those items will help. That would have t be determined by a reading. Is there anyway of telling if somone put a love/attraction spell on you ? Any signs or symptoms ? A few days after this realisation i was given some fruit by him as A thank u .
I could of course be reading waaaaay to much into it, but as always any pointers are greatly appreciated ! !